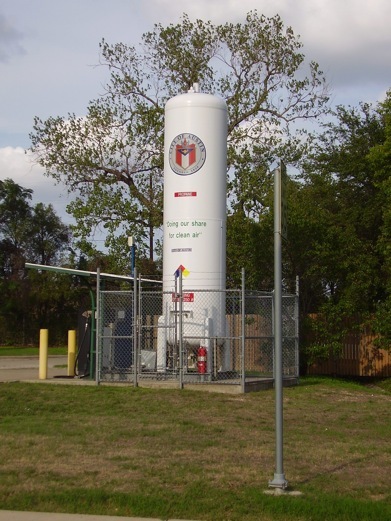 Propane (also known as LPG) is a very versatile fuel that is used by millions of people. It can be used in homes, businesses, and even in vehicles. Propane, which can be produced from either crude oil refining or natural gas processing, is classified as a hydrocarbon (C3H8). It's a perfectly clean and safe type of fuel that is actually cleaner than almost all other fossil fuels. When compared to standard gasoline engines, propane-powered vehicles create anywhere from 30 to 90 percent less carbon monoxide and only half of the emissions and toxins that create smog. Walter O. Snelling discovered propane in 1910. Snelling, a chemist, worked for the U.S. Bureau of Mines. He began doing experiments on what he terms "wild gasoline", unrefined gasoline with very high vapor pressure, and separated it into its gaseous and its liquid components. He and his colleagues Arthur Kerr, Chester Kerr, and Frank Peterson developed a way to liquefy these different liquefied petroleum gases (LP gases) while refining it, creating propane. In 1911, they had created a process for making pure propane. The four went into business together, founding the American Gasol Co., and in 1913, they received the patent for their process of creating LP gases. 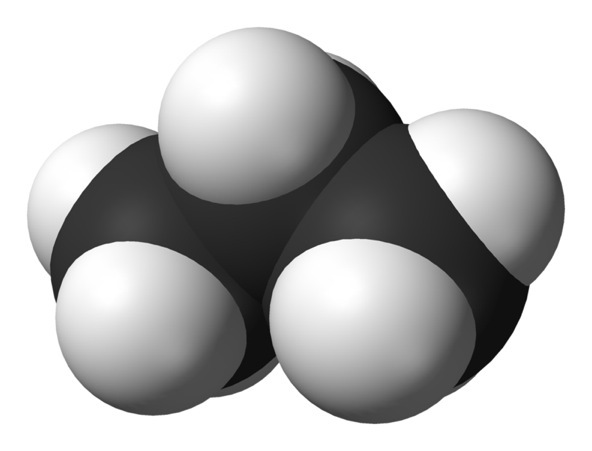 In addition to propane, this method could also be used to create butane, propylene, and other gases classified as LP gases. Propane caught on fairly quickly, and by the end of the 1920s, the U.S. was producing 1 million gallons of it annually. Production has reached 56 million gallons by 1935, cementing propane's place as a fuel alternative. The propane industry has continued to grow, and by the 2000s, the U.S. propane industry used more than 15 billion gallons every year, creating upwards of $10 billion in revenue. Propane has a number of different practical uses. Because of its high octane rating and the fact that it's non-toxic, it is often seen as a great alternative to gasoline. Many people who live in rural areas that are not serviced by a natural gas company will use propane for cooking and heating their homes. They have a propane tank on their property that is periodically refilled by a propane service. Commercially, propane can be used as one of the raw materials for the production of plastic. 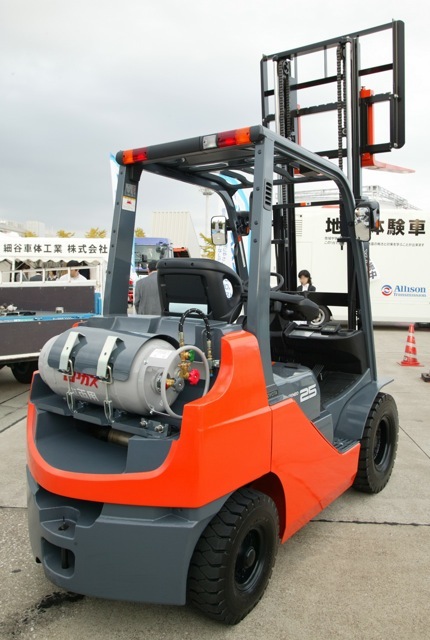 Propane is also used as an alternative fuel in vehicles such as forklifts, large trucks, and other specialized vehicles. Because of its low cost and clean-burning properties, propane has become the world's third-most used fuel. However, instead of using pure propane in vehicles, many vehicles run on autogas. Autogas mixes propane with small amount of other, similar gases like propylene, butylene, and butane. Overall, the mixture must be at least 90 percent propane to meet the Gas Processors Association's guidelines. Vehicles that use propane must have a special tank in which to store the fuel. This tank is pressurized to 150 pounds per square inch, which is about twice the pressure used in a standard truck tire. This pressure turns the gaseous propane into a liquid that has a much higher energy density. Propane is a very safe fuel. It and all equipment associated with it are strictly regulated, and all appliances, equipment, and storage methods must meet very high safety standards in order to be used commercially or residentially. Propane is actually fairly difficult to accidentally set on fire when compared to other petroleum products. This is because its range of flammability is narrower than other gases. If the propane mixture contains less than 2.2 percent gas or more than 9.6 percent, it won't burn. Propane also doesn't ignite when exposed to air unless it's over 940 degrees Fahrenheit, which is almost twice the temperature that it takes to ignite standard gasoline. If a propane tank leaks, the liquid propane vaporizes instead of forming a dangerous, flammable pool. 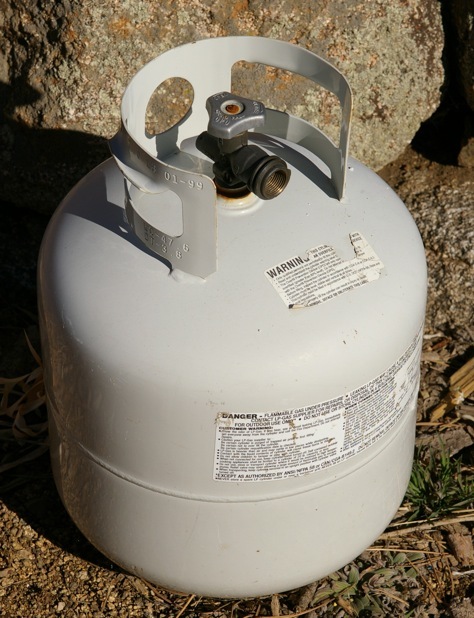 Propane can't be ingested like gasoline or other types of fuels. All commercial propane LPG has a special chemical odorant added to it because, in its basic form, it has no odor or color. Those who work with propane commercially are almost always required to be certified or to take a propane safety education course. There are a number of different courses and certifications offered, including the GAS Check program offered by PERC, the Certified Employee Training Program (CTEP) certification for handling propane equipment, and the training offered by the Propane Education & Research Council. The council has also developed a compliance program that outlines every safety regulation and federal guideline for propane use in the United States. This program has become the guidebook for companies that use propane. What is Liquefied Propane Gas (LPG) Propane and what are its Advantages and Disadvantages? A liquefied propane gas, or LPG, is a category of gases that includes propane. All of these gases are clean-burning and can be used for engines, although propane is the most common. While most personal vehicles run on gasoline or natural gas, they can be converted to run on propane. There are a number of advantages to doing so, especially when compared to electric, gasoline, and diesel engines. The following comparison looks at forklifts and how the different types of fuels compare. The cheapest type of energy, but requires regular recharges. May not be as powerful an engine as those that use other types of fuel. Cost depends on your location, but it’s more expensive than propane or electricity. Most engines are designed to run on gasoline. Releases a number of toxins into the air. Engines are easily repairable or replaceable because gasoline engines are the most common. Can be used to power very large, powerful engines. Has a shorter shelf life than other fuels. Cheaper than gasoline or diesel. Much lower emissions or toxins than gasoline or diesel. While propane vehicles aren’t as clean as electric ones, they are much cleaner than either gasoline or diesel. Often isn’t subject to "road tax" - the tax gasoline and diesel are subjected to when purchased at a fueling station. In a tank with no leaks, LPG propane’s BTU value will never decrease. This means it will stay good forever. Engines that run on propane may be more difficult to maintain or get spare parts for. While many engines that utilize propane are made in the United States or Europe, China has recently begun to make use of more propane. The Chinese propane industry has begun producing its own engines. Some run on propane, but most have been classified as an LPG-SNG engine, meaning they use a mixture of propane and synthetic natural gas. These engines are being used in vehicles and as backup energy systems for buildings. These Chinese-built engines have caught the eye of many companies that use propane-fueled vehicles. How they will affect the industry has yet to be seen, however. Propane is one of the most versatile fuels available anywhere in the world. It can be used in vehicles, to heat homes, and in many commercial uses. Because it is much more environmentally friendly than gasoline and other fossil fuels, propane has become very popular lately with companies looking to make their operations greener. Because it’s also fairly inexpensive and safe to use, propane is well on its way to becoming a gasoline replacement for those looking for a good alternative fuel option. Is Propane the Fuel of the Future?